This article is so good, it was hard not to quote the whole thing. Do yourself a favor and check out the article for yourself-- this is exactly why we can’t trust big cable and telephone companies to serve our communities. Only months after moving into his new home in Washington state, Consumerist reader Seth is already looking to sell his house. He didn’t lose his job or discover that the property is haunted. No, Seth can’t stay much longer because no one can provide broadband service to his address; even though Comcast and CenturyLink both misled him into thinking he’d be connected to their networks and in spite of the fact that his county runs a high-speed fiberoptic network that goes very near to his property. "I accidentally bought a house without cable," writes man who works at home. While Comcast, the country's biggest cable company, tells the federal government it faces so much competition that it should be allowed to merge with the second biggest cable operator, a government database designed to tell consumers what options they have for Internet service is offering inaccurate information. The National Broadband Map lets you enter any address in the US to find out what Internet access options are available. The database shows 10 options at Seth's house, including mobile and satellite, but they're all either inadequate for home Internet service or unavailable. Tennessee fights for its right to squash municipal broadband expansion: FCC faces first lawsuit over vote to preempt state laws that limit competition. The filings of both US-Telecom and Alamo acknowledge that their complaints were filed quickly, and possibly too early, because of uncertainty about procedural deadlines. "We believe that the petitions for review filed today are premature and subject to dismissal," said Mark Wigfield, an FCC spokesman. The FCC said its rules would take effect after being published in the Federal Register, which hasn't happened yet. Farmers Telecommunications Cooperative introduced an internet connection that company leaders say has the fastest speeds in the state — gigabit access — and they’re making it available on parts of Sand Mountain. Officials say the ultra-fast internet service is the first in Alabama. Note from ILSR: Opelika, Alabama, was the first to launch the service in the state, but we congratulate Farmers Telecomunications Cooperative for an impressive investment nonetheless. If a Tiny Telco in NE Alabama Can Go All Fiber, Why Can’t Every Telco? Bowling said she understands that connecting Tennesseans in low-density areas is a challenge for privately owned companies. But their profit margin concerns should not prevent municipalities with high-speed fiber networks from connecting residents. The original legislation restricting municipalities' broadband reach was filed in 1999, giving the corporate sector 16 years to reach those rural communities asking for fiber connection from municipalities, she said. "We've got to get this essential utility if we want to make rural Tennessee economically viable and sustainable," she said. "It's absurd to think that you can compete in the 21st century without high-speed broadband." 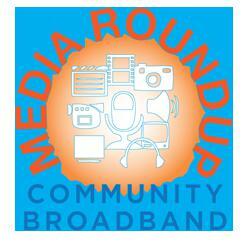 The expansion in Tennessee comes amid a legislative and legal fight over municipal broadband. AT&T opposes pending legislation seeking to allow city-owned Internet providers from offering their product outside their normal service area. Apartment firms say residents and prospects will not sign a lease, or renew one, without access to robust broadband. 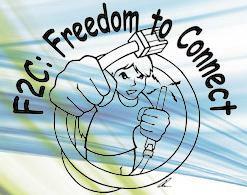 Not only is reliable Internet access a must, residents want a choice in providers. While cable operators have been relatively busy upgrading networks, their DSL competitors have not. In fact, companies like AT&T and Verizon have been busy backing away from markets they don't deem worth upgrading, giving cable less serious competition than ever before. So while higher speeds are great, less serious competition means higher prices and worse customer service. And when it comes to companies like Time Warner Cable and Comcast, they already offer the worst customer service across any industry. Fast is great -- we all love fast connections -- but it's increasingly only a part of the conversation in an industry that often doesn't really want to seriously talk about price or availability. “Many of the efforts to increase connection speeds are being taken at a local/municipal level and may not have an immediate state-wide impact upon completion, but are part of ongoing initiatives that are becoming more widespread across the country,” the company noted. Throughout the fourth quarter a number of municipalities announced the rollout of gigabit-speed Internet, including those in Arizona, California, Kansas, Michigan, Mississippi, New Hampshire and Oregon. Obviously impacted by Verizon's decision to back away from its fixed-line networks, the Communications Workers of America have launched a new "Where's My FiOS? campaign aimed at putting public pressure on Verizon to expand FiOS further -- and therefore spend a little more money on installations and union employees. "When it received its franchise from New York City in 2008, Verizon promised FiOS would be available to every NYC resident by 2014," a union flyer being circulated in the city complains. "Now the company says it’s completed its obligations. But customers in many parts of New York City still can’t get FiOS. Instead, Verizon has cut 8500 jobs in New York State and slashed its workforce in New York City by 37% over the last decade."